Just to while away the moments before the ceremony starts, if you haven't seen it already, you will laugh at this brilliant Royal Wedding parody to Lady Gaga's Bad Romance. Brilliant. 357 months ago, I woke up after a night of fitful excited sleep to watch the wedding of Prince Charles and Lady Diana Spencer. It was 2 days before my 14th birthday and I'd followed the build up and the early years of their marriage with a fervent, almost obsessional anticipation. I'm not kidding - there was a point where if you showed me a photo of Diana, I could have told you exactly when it was just from her outfit. Mind you, I also knew the seats and majorities of all Alliance MPs. I just liked to fill my head with nonsense. To me Diana was beautiful, lovely and kind. I couldn't, for the life of me, think what she saw in Charles, a man who couldn't even say he was in love with her. Maybe I thought she's lighten him up a bit. My interest in her was pure escapism for me at what was otherwise a pretty miserable spell in my life. As time drew on and we really started to understand the pressures Diana was under, my admiration for her grew. She wasn't perfect by any manner of means - but as I don't reach that high standard myself, I can't really complain. She did, however, instinctively, right from the start, break out from the conventional royal patronage of children's charities to raise awareness of AIDS and HIV and to help homeless people. Her later work on land mines completely embarrassed Governments the world over, including our own. Excellent stuff. And, yes, I know that a monarchy is not the idea way to run things and if I had the choice, I would much rather see a republic, but I'm way in the minority here so I'm going to have to put up with the Windsors for a while longer. And I might as well enjoy it. My sense of excitement about the marriage of Diana's son today has taken some time to get going. I do feel sad that she isn't here to see it and every time I see her ring on Kate's finger, I fill up a bit if the truth be told. I can see why he gave it to her, as he said, to make her part of his day and life, but I hope that at some point he gives her her own ring, too. In 1981, Diana and Charles hardly knew each other and they seemed to have completely different interests. Laurens Van Der Post and Wham can co-exist in the same universe - but in the same household? I'm one to talk, given the divergence in mine and Bob's musical tastes, but there's enough room for both of us to do our thing. Before the engagement was announced, Diana had spent half a year being thrown to the media wolves who parked outside her flat and was expected to adjust to life in the staid and repressed Royal Family with little support and understanding and while her husband was still at the very least emotionally attached to somebody else. The crucial differences between that day 30 years ago and today give me cause for optimism. This is no "marry someone suitable and produce some kids" affair. William and Kate have known each other for almost a decade, she's not had to undergo as much of the day to day harassment that Diana did, and she's been eased into it all much more gently and, you would hope, more on her terms. Their relationship also has a much stronger foundation and common interest. I just hope that once today is over, they will be able to get on with their lives as they wish. I won't hold my breath though. If Kate puts on a pound, she'll be pregnant, ten pounds, she'll be obese but if she loses weight she'll be anorexic according to the tabloids. I hope she'll have the good sense and confidence to do her own thing as she sees fit. There are some elements of the festivities today that annoy me. Much as I loathe Blair, as a former PM he should have been invited and the same goes for Gordon Brown. Their exclusion shows that the Palace is still out of touch with reality, mired in a protocol that has no relevance today. If you invite all the ex Tory PMs and exclude all the Labour ones, it screams out that the Royal Family and the establishment are all cosy with the Tories. It shouldn't happen. And then there's the small matter of Kate's title. Ok, so all the press will refer to them as Wills and Kate, but why does her official title have to rob her of her name? Why can't she just be Princess Catherine? The Duchess of Cambridge sounds like a pub, not a young woman in her twenties. And, of course, there is a certain annoyance that someone whose birth I remember is old enough to get married. You can't really do anything about the laws of nature, though. Whatever, though, I am currently enjoying everyone arriving at the Abbey. I love the hats, the dresses, the body language. I haven't seen anyone sighing at the thought of being behind one of those trees, though. They look lovely on tv, but I can't imagine they're much fun to be near. With just over an hour to go, though, I am excited and looking forward to the ceremony, the balcony and all the traditions we associate with Royal Weddings. I remember almost every detail of Charles and Diana's so I'm thrilled that Kate will be walking up the aisle to I was Glad which was the anthem 30 years ago. It's a very evocative and rousing piece of music. I do feel sad that Diana's not there, though - even after nearly 14 years, I miss her from our national life. I have a feeling, though, that she'd be pleased that the lessons of history seem at least partly to have been learned. I would be very surprised if I got through the whole service without blubbing - so I have plenty tissues to hand. Here's hoping that Kate and William have the day they want and a happy life together to follow. And that everyone who's celebrating with them - either at home, or in the Abbey - has a lovely day too. And that those who aren't watching - for example another William, Willie Rennie, Mid Scotland and Fife Liberal Democrat list candidate, who is delivering leaflets for the tv cameras in Perth as I write, and my darling husband, who's headed over to Dunfermline to take my place at the Great Stuffing of Envelopes - enjoy themselves too. It's more the fact that I have 3 children to look after, rather than the wedding, that's keeping me away, honest. I did actually try to persuade the kids to stuff some envelopes for a while before a trip to the park, but they were having none of it. To see the total collapse of Labour’s support…………. I finally got round to opening my ballot papers this morning - I have a postal vote ever since my polling day activity in Chesterfield in 1997 meant that I didn't actually get to vote in Sherwood, the only time I have ever failed to cast a vote) - and, again, felt slightly insulted at the contempt the SNP shows for the Parliament by pretending that the Regional Ballot is all about electing Alex Salmond as First Minister. It's not, actually. It clearly says at the top of the ballot paper that it's about electing "members of the Scottish Parliament for (name of region) Region as outlined in this Statutory Instrument. The Regional Ballot is not there to elect the First Minister, or to stroke Alex Salmond's ego.It's to make sure that the people get the Parliament they asked for in the way that Westminster doesn't, to make sure that the number of MSPs reflects the proportions of the votes cast for the parties. For the SNP to pretend it's almost a presidential ballot is just plain wrong and they shouldn't deceive the electorate like that. One thing that cheered me up this morning was reading the reports about the Edinburgh University Students' Association hustings which took place last night. The Journal has a live blog of the proceedings and you can see how people who were there felt by looking at the #eusahustings page on Twitter. If it wouldn't make me sick in my mouth to think about it, I'd actually campaign for @Alex4Central after these hustings. Another name drop for #WriteToMike from @Alex4Central. An example that principled Lib Dem politicians still exist. I think i'm going to call the #eusahustings as a tie between ramsay and cole hamilton. - Alex is the only one of those standing in the constituency of Edinburgh Central, though. Alex has been a friend of mine for a long time, so I'm hardly unbiased, but I've become more and more impressed with him as a leader over the years and I think Holyrood needs someone who will be a passionate supporter of young people. He's on the same page as I am on things like Trident - he's totally opposed to nuclear weapons - as a former student leader, he has a long track record of opposition to fees and understands how hard many students find meeting their day to day living costs. He understands about the crisis in FE colleges too as he showed recently on Brian Taylor's Big Debate. Have a look at this really thoughtful video he's done about knife crime. I feel that he really gets what's important here - finding a way to make our communities and our young people safer. Politics aside, one of the things I care most about is children, their welfare, factoring in their needs at every level of policy. I want to see people in Holyrood who share that passion, who get it instinctively without it having to be pointed out. Alex is top of my list of people I want to see in there. Yesterday, today and tomorrow were down as being my only child free days until the day between 8th April and 4th May. I love every single second of having Anna on holiday, and really don't get why people complain about having their kids around. They grow up way too quickly, so my aim is to enjoy every possible moment. Anyway, though, I was kind of looking forward to 3 school days just to catch up on stuff. In particular, yesterday was ear-marked to spend in front of the computer. Then, on Monday afternoon, while we were playing in the park in Dunfermline, Anna suddenly said she didn't feel well and wanted to go home. She felt really sick and had a sore throat. She was then up half the night feeling awful so there was no way she could go to school. I sat down at the laptop yesterday morning and really couldn't concentrate - which I put down to being up since 3. Around lunchtime, my vision went all blurry and I started to feel dizzy and woozy. That righted itself after a while, but I still feel awful - very sick and achy and generally horrible - although not with the horrid sore throat Anna has on top of the sickyness. Mine is a bit scratchy, but not too bad. I went to bed when Bob got in from work last night and didn't even get up to watch Masterchef. I just hope she's ok for tomorrow as she has a really important choir rehearsal for the NYCOS 15th anniversary Seven Planets and a Cosmic Rock concert in Glasgow a week on Sunday. So, all in all, I am feeling very pathetic and sorry for myself. I kind of want to be tucked up in bed still, but that's not possible when you have a poorly child as well. I shall try and schedule a few blog posts for later in the day. This hilarious video by MJHibbet, available here on You Tube is worth watching for the animated Nick Clegg dancing alone, but it has some very down to earth reasons to vote Yes in the AV Referendum next week. Look at this cool little car! This morning Tavish Scott was in Inverness to see it off on a two day journey round Scotland to highlight the Liberal Democrats' opposition to the centralisation of Police forces. He was joined by Highlands candidates Christine Jardine, Alan MacRae, Angela McLean, Jean Davis and Thomas Prag. It carries the message that proceeding with Tory, Labour and SNP plans to merge police forces could cost 3000 jobs of bobbies on the beat. Even more importantly to me is that all the decisions on law enforcement will be in the hands of two people, a chief constable in Glasgow or Edinburgh and the Justice Secretary. Just imagine if they decreed that all officers across Scotland should carry tasers. The relationship between the local community police officer and the quiet highland villages he or she works in would never be the same again. Anyway, if you see the car in your area, it's being driven by one of my favourite people in the world who will be meeting up with local candidates on the way. I'm hoping to have more pictures from the launch later along with a very interesting police related story which highlights the SNP's recent vagueness on this issue. The issue of social care highlights a very big difference between the Liberal Democrats and the other parties. We know that older people are suffering because the health and social care system just can't provide them with the support they need. Too many people are kept in hospital when there's no medical reason because healthcare and social services staff can't get their acts together to put in place what they will need quickly enough. You can pretty much name any problem that takes your fancy and Labour's default reaction will be to centralise it. You see, they don't see people as individuals, but as an amorphous blob with uniform needs. Their "any colour as long as its black" approach to public services expects people to take what they're given. It's not surprising therefore that their answer to the problems with care is to create a National Care Service where a legion of Holyrood based bureaucrats will work out what people are entitled to and will give it to them whether it suits them or not. COSLA has today warned against that approach, saying that it will cost £300 million for little actual gain. The Liberal Democrats natural instinct is to make the service as tailored to the needs of the individual as possible. Our manifesto reaffirms our commitment to free personal care, which would never have been introduced without us. I think what's particularly good about what we offer in our manifesto is that we're going to ensure that local authorities offer people a range of options that they can choose from so they have some control over the process. You can read more of the detail in our full manifesto here but these are some of our ideas in brief. Bridge the gap between health and social care, making sure that individuals have the support they need stay in their own homes where possible. We oppose the centralisation of care into a single, national care service, with little accountability and enormous costs and bureaucracy. Protect free personal care, a proud achievement of our time in government. Help individuals with long term conditions or their carers design the best healthcare for their individual needs. We will require local authorities to offer a range of self-directed support options to give people control over their care and provide them with the information they need to make informed choices. We will develop community initiatives which provide information and support for self-management. It seems to me that Labour wants to build a big system, whereas Liberal Democrats want to look at the person first. That seems to be the sensible, compassionate, sustainable approach. A system that requires managers to tick boxes and hit targets is one thing, but surely it's more important to build a service that meets the needs of the people who use it. Not that they are going to listen to me, but I'd counsel caution, especially given what happened to the Liberal Democrats last year. I was firmly in the camp of "keep calm and carry on" when our poll ratings soared in the wake of Nick Clegg's fabulous performance in the first leader's debate last year. I never thought at any point that we'd get 30% of the vote, even though I thought and still think that we had the best leader and the best policies. There's a long way to go before May 5th, which is the only poll, after all, that matters. Let me tell you why. First of all, on the constituency seats these polls always assume a uniform swing and ignore the situation on the ground. You just can't do that as each seat is different. Labour often fight useless campaigns though. Last year their main reason for voting for them was that they weren't the Tories. This year they are trying to portray themselves as some sort of SNP-lite without the independence bit, changing their minds on things like the Council Tax freeze and free prescriptions which they failed to support in Parliament. They are trying to pretend that the total financial mess the country was left in after their 13 years in Government is nothing to do with them and that they would have made cuts that nobody would have noticed. One thing I've noticed in my almost 30 years of political activism is that when Labour are up against it, they get nasty and vicious. Expect over the next 10 days some heavy duty character assassinations from them. They'll also try to shift the ground on to issues like independence which most people in Scotland oppose. I wonder if they'll selectively quote Jeff from Better Nation's excited prediction that "Either way, with 8 pro-independence seats amongst the Greens and Margo, this poll on its own suggests that an independence referendum will happen in the next parliamentary term" leaving off the rest of the sentence which implies that he thinks Scotland will vote against going it alone. I don't think that the Scottish people are quite that stupid. Nobody's going to believe that Salmond's going to declare UDI. The worst that can happen is that we'll waste some time and effort on a referendum that most people don't want. I've always said that I'm pretty relaxed about the prospect and if it happened, I'd spend my time making the No campaign positive, inspirational and ambitious. The air war stuff is important, but it's not the only decider. If there's one thing that Labour is good at, it's getting their vote out in the places that matter on the day. And they are probably better at that than any other party. You can bet your life that they'll spend 5th May going round the doors in key areas for them telling people that they can get rid of the Coalition at Westminster if they vote Labour - which would, of course, be a complete and utter lie as this election is for the Scottish Parliament and won't influence the 5 year coalition agreement one bit. They'll go round telling people that they need to vote Labour to stop independence. As for the Greens, when people get to realise that their proposals for Land Value Taxation are going to hit pensioners, students, people who rent their homes, single parents and people who live in city centres hard, I don't expect that their vote will go up by as much as they think. I don't remember them being particularly constructive or achieving anything during the time in Parliament when they had 6 MSPs either. I can't see the point of voting for them. And, quietly, maybe a bit more quietly than I'd like, the Scottish Liberal Democrat position on a whole load of key issues in this election is being backed up. The Scottish Police Federation overwhelmingly voted against a single police force, and the CPPR verified our spending approach, It goes to show that we have a credible set of ideas and proposals. What we need in the last 10 days is to get them out there with confidence and passion. There's two leader's debates coming up on 1st and 3rd May. I don't think anything on this planet makes Tavish more passionate than the idea of a political power grab to the centre. He needs to talk about keeping services local, a lot. He needs to talk about how his upbringing at the heart of a strong community shaped his outlook and his belief that people should have a say in the services they have, not just take what they're given by a remote state. He needs to talk about ambition, and hope and the positive future for Scotland we see. This election is far from over. And counting chickens before they are hatched just leads to a lot of egg yolk running down your face. You might remember a couple of weeks ago that I had a major strop with whoever it is in London who sends out these mass party e-mails for sending Scottish members one from Nick which contained no Scottish election messages whatsoever. Well, it seems that somebody has been listening to me. Step forward Party President Tim Farron. He sent out an e-mail last week which was much better. I'd maybe have improved it slightly by adding in a link to the Save Our Police Facebook page as well but I'm happy with what's gone out. It's clearly AV focussed, but at least it acknowledges that we have a campaign going on up here. And that Scottish election will, I suspect, bring a massive turnout for the Yes campaign with it. Take a look at Tim's e-mail. We're in the last stretch now - we have less than two weeks to go to May 5th, but it's never been so important to get out there and get campaigning with even more energy, for the important Scottish Parliamentary elections and for Fairer Votes for Westminster. Tavish Scott, the other 93 candidates and their teams are already campaigning flat out, in the constituencies and regions across Scotland for every Liberal Democrat vote. I was out campaigning with Jim Hume and Jeremy Purvis on a recent visit. When David Cameron visited Scotland this week, Danny Alexander challenged him to listen to the experience of people who already use AV, as you do in local by-elections across Scotland. He would have learnt that using the AV system is simple, straightforward, and does not cost any more. Having heard from people that AV is as easy as 1-2-3, David Cameron should ask the 'no' campaign to stop the ridiculous scare stories. People in Scotland will not be scared or bought by the 'No' campaign - we all know that AV is a small change that will make a big difference. If you haven't already, get in touch with your local party and get campaigning for the Yes vote. Speak to your friends and neighbours about why they should vote Yes on May 5th and give them this handy 'How to Vote' guide. Download a poster, print and put it up in your window. If your local party doesn't have any activities planned, you can download a knocking up leaflet to print and go speak to people in your area who might be in favour of Fairer Votes. Go on - keep campaigning for Fairer Votes and more MSPs for Holyrood! Not perfect - it would maybe get a 7.5 to 8 out of 10, but a definite step in the right direction. Well done to whoever sorted that out. I caught up with Highlands and Islands Lib Dem list candidate Jamie Paterson earlier this week in Inverness. He told me that Tavish Scott's campaign against SNP, Labour and Tory plans to create a single police force had gone down well on the doors in Moray. This comes at the end of a week when 78% of rank and file police officers voted against a single police force, Liberal Democrat Campaign Chair George Lyon is urging all parties to back the Lib Dem campaign to keep police local. “This week 78% of rank and file officers at the annual police conference voted against a single police force. “They join the 7 out of 8 chief constables and 86% of Northern Constabulary staff who don’t want a single force. “Chief Constables warn that a single force could cost 3,000 officers their jobs. And the Chief Constable of a single force would never be out of the Justice Secretary’s office. That’s no way to run our police. “Liberal Democrats are sending hundreds of thousands of leaflets across the country to tell voters that local policing is under threat. “Out of the main parties, only the Liberal Democrats are campaigning against a single police force. Ok, that probably sounds like a bit of political campaigning talk. But, think about it. If you are a local bobby, finding out what's going on in your local community, who's causing the trouble, what their plans are, is something that comes from forming relationships over time within that community. You can't build that sort of knowledge up overnight. Good policing needs good community officers with their ear to the ground over years. They don't need to be pulled away and redeployed at the whim of a Chief Constable hundreds of miles away. That is the path to less criminals being caught as I see it. If you agree, sign up to our petition and Facebook page. I have signed up to Evan's petition. I know I live in Scotland where we are as likely as snow in July to adopt the sort of reforms being proposed by the Tory bit of the Westminster coalition, but I care about my friends and relatives who live in England and the effects these reforms, unamended, might have on them. Anyway, what follows are Evan's words because a) he's a doctor and therefore knows what he's talking about and b) he's better at explaining these things than I am. I think that what's clear is that this is not some great rebellion - the rationale is to increase our influence within the coalition. Please also note Evan's plea to circulate this among your local party members. Mine have enough on their plate at the moment with our election, but I'll be on their case soon. Following the overwhelming vote at the Lib Dem Spring Party Conference for significant amendments to Andrew Lansley's NHS reforms, the future of the NHS Bill is under discussion at the top of Government. We have said very clearly as a party, that we will not accept the marketisation of the NHS and that we want proper local democratic accountability and scrutiny of NHS commissioning . Nick and his colleagues must understand the absolute political imperative to get these changes. It will be a real boost for us to demonstrate that we do act as a restraint on the excessive market-based ideology of the Conservatives and that where a policy is not in the Coalition Agreement and is one which we as a party cannot support, then we will not accept having a whip imposed on our MPs to vote it through. It is important to make absolutely clear to the Conservatives and to the media that we as a party will not be ignored on this issue. So - following careful consultation with external independent health policy and NHS experts and in close consultation with Shirley Williams and other key players - the movers of the amendment at Party Conference have published a list of the specific changes that are needed to comply with the Coalition Agreement and the conference motion as amended. The Party's Federal Policy Committee last week broadly endorsed its contents and it has been welcomed by John Pugh MP, the Chair of the Lib Dem Parliamentary Party Health Committee. We are hoping that as many Lib Dem members as possible will sign up to the statement of support set out below. The Social Liberal Forum is hosting the statement and you can sign up athttp://socialliberal.net/sign-the-statement/. You do not need to be a member of the Social Liberal forum to sign up. The full list of the required changes to the bill can be seen there also. The more signatures we have, the more we can make clear that the Lib Dems will not accept the NHS Bill in its current form and the more we will strengthen the position of Nick and our MPs in the discussions. Please sign up today and please circulate this email to other party members and ask your Local Party Chair or Secretary to send it to all members. The delightful Dan Snow cuts through the crap that's flying about about AV - and tells us that this is a constitutional tweak we can happily embrace - a more modern, fairer and sophisticated way of electing our MPs. I like also his contrast between people saying we're too stupid to count to 3 and expecting us to fill in extremely complex official forms. The BBC have excelled themselves tonight with a stellar assault on my emotions. First there was the rollercoaster ride that was the season opener of the new Doctor Who series- of which more probably tomorrow - and immediately afterwards, on CBBC, the programme nobody ever wanted to see, or make - My Sarah Jane. This was a tribute to actress and Who icon Elisabeth Sladen who died on Tuesday. You could tell that this programme had been put together with love and tenderness by people who were shocked and grief stricken at the unexpected loss of a friend and inspiration. There were heartfelt words from Matt Smith, David Tennant and Steven Moffat. From the kids who'd been her gang on the Sarah Jane Adventures, all of whom talked about how Lis had really looked out for them on set. It was the music that really set me blubbing. Not just a moist eye, but full blown, noisy, proper blubbing which followed a flash of "you bastards, BBC, how could you have picked something so perfect?". What made it perfect was looking across the room, past the Matt Smith cardboard cutout (really!) over at my husband on the other sofa. He regards my Doctor Who obsession with a certain resigned, but benevolent tolerance. And there he was, blubbing his eyes out too. It's moments like these that confirm that you are absolutely with the right person. We haven't had to wait very long to see the programme come up on iPlayer too - view it here. But have a nice soothing cuppa and a box of tissues ready as you'll need one to get you through this tender, tasteful tribute. And to those of you on Twitter who say there should have been a Nick Courtney tribute - well, of course there should. But let's not take away from Lis and what she gave to mine and my daughter's generation. We'll miss her so much. I still feel very sad and a little choked when I think about her no longer being with us, but we'll always have her excellent performances and portrayal of a character who combined kindness, compassion and curiosity with an inability to take crap from anyone or to conform to expectations to inspire us. And although Tom Baker wasn't part of tonight's tribute programme, he wrote this blog post about Lis earlier this week. So after a hard day’s envelope writing last night, we headed back to my sister’s where my niece Laura was cooking her risotto – which, I have to say, is one of the most delicious, punchy, garlicky, creamy, pretty things I’ve ever eaten. In the olden days families used to gather round the piano for a sing song, or the ladies of the house would play the instrument in genteel and cultured fashion while everyone listened or danced. The modern day equivalent is singing along to songs on You Tube. Songs from musicals and Disney to be exact. “How do I know that he loves me?” from Enchanted is sure to become a modern classic, and my sister’s and my rendition of For Good from Wicked is quite simply beyond compare. Having such fun in the real world limited my options for dipping into Twitter, although I did share a little of our revelry with the world in passing, not checking at all what was happening to anyone else. I am very grateful to MiMi (@meemalee), though, for making sure that I couldn’t ignore what everyone was talking about – their shock at the news that Elisabeth Sladen, who played Sarah Jane Smith in Doctor Who had died from a cancer she’d kept very private. Sarah Jane Smith was the feisty journalist accompanying the Doctor when I first started watching in 1974. I absolutely loved her. She was clever, fearless, kind and pretty. I was literally heartbroken when she left in 1976 and to this day I’ve wanted a pair of those stripy dungarees she wore in her final episode. Lis Sladen was wickedly funny, approachable and lovely in real life. In the late 90s we used to go to a Cult Tv holiday weekend in November each year in Norfolk and she came along for a couple of years. She brought along her husband and daughter, too and made a family weekend of it. I’ve mentioned before on here that somehow it seemed wrong that Sarah Jane Smith should be smoking, but it was often in smokers’ corner that I came across her and she was always friendly. It’s her husband Brian Miller, and daughter Sadie, now a woman in her mid twenties I thought of first last night. They will be devastated but I hope the genuine love people had for Lis, of which we’ve seen loads in the last few hours, will at some point in the future make them smile through their tears. The character of Sarah Jane had a renaissance in 2006 after Russell T Davies brought her back and reunited her with David Tennant’s Doctor and then gave her her own spin off series which is briliiant. Action roles for women beyond their thirties are few and far between, but here was a middle aged single parent middle class woman with an alien supercomputer in her attic, a son cloned by aliens and a group of teenagers who helped her save the world again and again. The last series where she worked with Matt Smith’s Doctor for the first time, and played alongside another former companion, Jo Grant, seems poignant now. As does the last storyline where apparently an ill Sarah Jane left – although she hadn’t really, she’d been kidnapped by a sadistic alien and was kept in a basement till the kids rescued her. 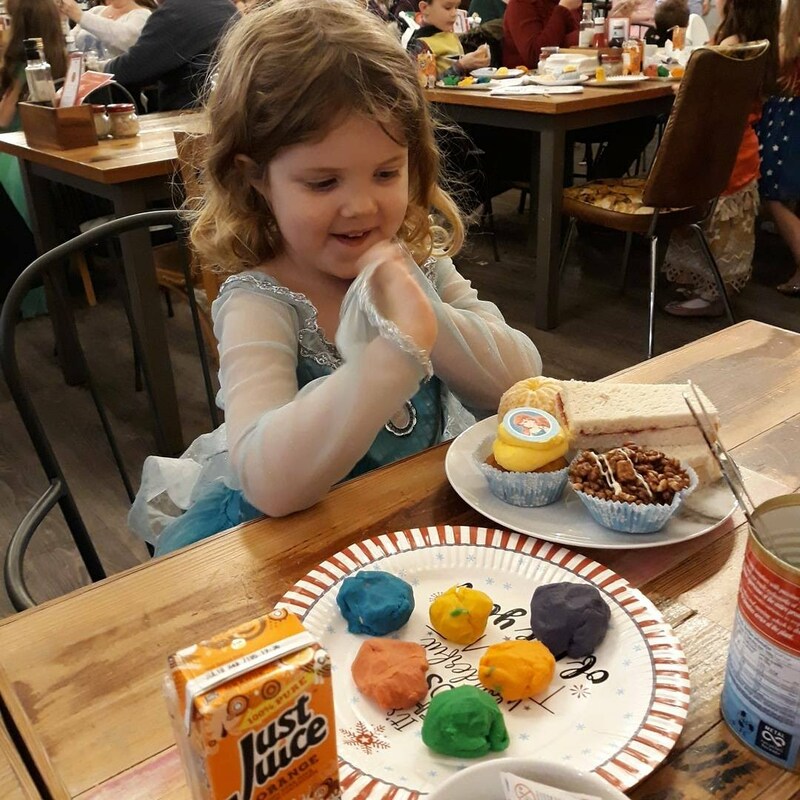 It is not a coincidence that my daughter has Elisabeth as a middle name – as a tribute to her paternal grandmother Betty and to a talented actress who was the perfect female role model for several generations. She loves Sarah Jane and is sad today. I really want to get the DVDs out and spend the day reading what folk have written about this lovely woman on the internet. I shall have to delay that indulgence until I get home at the weekend. “To those who don’t get the fuss about Lis Sladen, all you need to know is generations grew up in love with her, or wanting to be her or both. “ I’m grateful that both I and my daughter had the good fortune to be influenced by her and her character’s warmth, wisdom, compassion and curiosity. “I remember the negative side of Thatcherism - the Poll Tax, mass unemployment and the claims that there was no such thing as society. I was a councillor in Glasgow in the 1970s and valued the progressive tradition of Scottish politics. That’s why I’m glad the Tories aren’t in power by themselves at Westminster. We have stopped the Tories behaving like they did under Thatcher. We stopped them from introducing their plans to cut taxes for millionaires. Instead we have cut the taxes for people on middle and low incomes and increased capital gains tax, to stop the loopholes used by many, very wealthy people. Let me be blunt. After Labour abandoned their responsibility for clearing up the financial mess, the Liberal Democrats had to put people and families first, and form a government that worked in the national interest. As Business Secretary I am working for growth and jobs and the revival of manufacturing – a different approach from the 1980s. In the House of Commons we are 267 seats short of an overall majority on our own; 92 per cent of MPs are against us. But Liberal Democrats have core values about treating people and families fairly, and have won the abolition of income tax for 71,000 of the lowest paid Scots this month and reduced tax for another two million people in Scotland. It’s why we’ve increased pensions by restoring their link to earnings. If the Conservatives were ruling by themselves none of this would have happened. We have seen a glimpse in the last few days of what they would be like on their own. I had great fun yesterday. I spent it writing envelopes with lovely people in the Dingwall HQ of Skye, Lochaber and Badenoch candidate Alan MacRae. Alan is amazing - hailing from Skye, he lived in Edinburgh (where he had a fabulous restaurant, First Coast, and has returned to live in the north. He's put so much energy into his campaign for the past two years and I know what it would mean so much to him to represent his home area in Holyrood. He has the emphatic backing of former MSP John Farquhar Munro to succeed him. John Farquhar put out handwritten letters endorsing Alan and appears on every single piece of his election literature. Yes, I know this was on Monday night, but if you haven't seen it, it's worth watching to see how little thought Labour have put into their flagship policy. Labour say that knife crime in Scotland costs the NHS £500 million a year. An organisation called Straight Statistics, ironically set up by a Labour peer, has dismissed Labour's statistics as "a fantasy". Confronted with this by Isabel Fraser, Labour's justice spokesperson Richard Baker was literally all over the place, admitting that Labour had got the statistics from press reports from another organisation's conference. That organisation says that they have never claimed the statistics attributed to it. I just feel that when people are losing their lives, you need to make sure that you totally understand all the facts before you open your mouth. Maybe it's better to leave this one to the experts, who have developed the No Knives Better Lives campaign. You can see Baker's sorry performance here. LaLast week, Anna and I went to the Scottish Storytelling Centre in Edinburgh to see a talk on “The Science of Doctor Who” given by Mark Brake and Jon Chase as part of the annual Edinburgh Science Festival. I thought they would talk about whether cybermen or daleks could be created, or whether a TARDIS was possible, but it was more to get children interested in what science fiction was all about. The hour long session was very interactive, with the kids being asked for their ideas on things like who would win in a battle between the cybermen and the Sontarans. They started by showing the kids the painting “The Garden of Earthly Delights” which was made 500 years ago and depicts the universe as being very small, with God in the top left hand corner. Now, anyone with more than a passing interest in Professor Brian Cox will know that the universe is massive, with literally billions of planets and stars – giving science fiction writers a huge number of different places to go to create stories. They talked of meeting Doctor Who writer Paul Cornell who said that Doctor Who wasn’t science fiction, but “Galaxy and Chips” meaning that it was just exploring the normal range of experiences human beings going through but in the context of space. The idiocy that in such a huge universe with huge potential for creativity, most Doctor Who aliens look human was pointed out, and the provenance of some was speculated upon. For example, (and you can tell I didn’t mis-spend my youth enough because this was news to me – the weeping angels are a bit like the ghosts in Pacman. ReRemember in Charlie Brooker’s recent satiricaltv series, he speculated about how we’d probably invest emotional energy in something as horrid as who would win between various genocidal regimes, leaving him in You Tube immortality cheering for the Nazis? Well, Brake and Chase had come up with Fantasy Death Match, asking the audience for their suggestions. Anna’s contribution to the question of who would win between the Doctor and the Daleks was to use a mirror to bounce back the Dalek beam – and that the Doctor would win because he could regenerate as many times as he liked seeing as they’ve got rid of the old Canon of 12 times. Jon Chase told her to try that the next time she met a Dalek. ThThe show gave the kids some sense of the history of science fiction, telling them about ground breaking books like HG Wells’ the Time Machine and Lewis Carroll’s Sybil and Bruno which they might then go and read. There was discussion of 2001: A Space Odyssey which had people evolving into star children. One thing about Anna having a dad who was born in the 50s is that he can tell her about the science fiction about when he was a child, and how they expected today’s world to look. In fact, his justification for his cherished “grumpy old man” demeanour is disappointment that we’ve got to the 21st century and not cured poverty and disease. He feels let down in some ways. ThThere were occasional reference to a competition for people to write sci fi in 6 words. Entries such as “Time machine reaches future – nobody there” and “Tick tock tick tock tick tick” were included. ThThe one thing that really annoyed me about the show was a reference to the Slitheen and then the appearance of a photo of Nick Clegg and David Cameron. That was a low blow which made me wonder if there was anywhere Lib Dems can go to avoid having crap thrown at them these days. It wasn’t the right place to do it. All All in all, though, I left the event feeling confident in the future of Doctor Who geekery – and particularly in the fact that there were so many girls there. The kids clearly all loved the show and knew loads about it so as we head towards its half century in 2013, it seems like the Doctor ‘s future is assured for the time being. 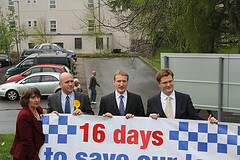 With just 16 days to go until the Holyrood poll, Scottish Liberal Democrat leader Tavish Scott, accompanied by Aviemore MP Danny Alexander and Highland candidates Christine Jardine and Alan MacRae, took our campaign against a single national police force to the Scottish Police Federation Conference in Aviemore. 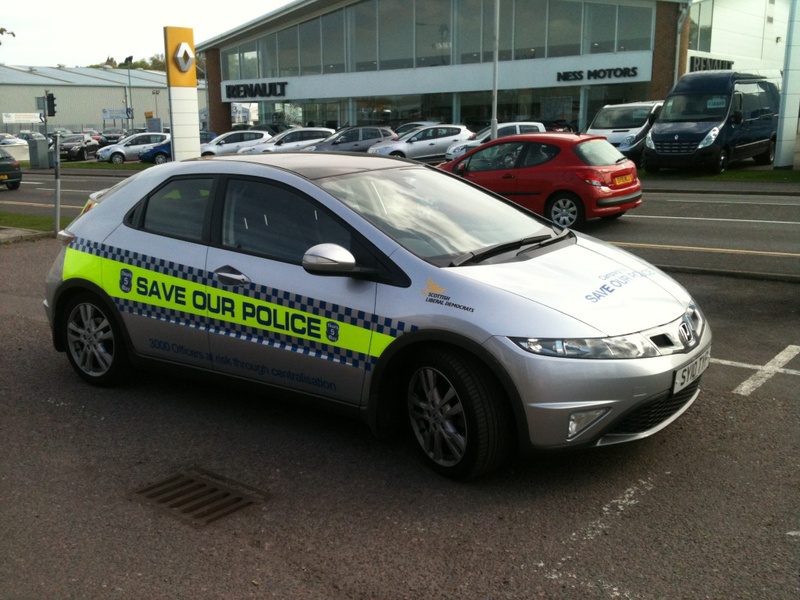 “The Scottish Liberal Democrats oppose the creation of a single Scottish police force. “This proposal is wrong for Scotland. 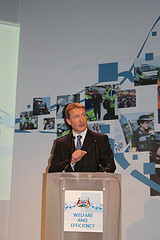 “Our single chief constable wouldn’t be out in the country helping communities. “He or she would be in Edinburgh, standing on the other side of the First Minister’s desk and taking their orders from the top down. “So we say no to one chief constable answerable to one First Minister. “We say no to the direct injection of politics into policing. The Greens, who launched their manifesto today, have spent the campaign so far telling us all that if they were in power, there just wouldn’t be any cuts. Any cuts in services are a great wickedness that would never happen if they ruled the world. Given that even Patrick Harvie can’t make money grow on trees, there is only one other possible way this can happen. To raise more in tax. The first part of their plans is to raise income tax for us all by half a percent. How are they going to do that when we aren’t going to have the tax raising powers for most of this coming Parliament thanks to John Swinney letting the power lapse without telling us? They also propose a Land Value Tax which they say will basically give us everything we could ever wish for which won’t affect ordinary people because the it’ll be the rich who will suffer. What’s not to love about that? Well, I know that there are many Liberal Democrats who think that a Land Value Tax is a good idea and they may be right. However, the Greens’ proposals show that their variant of LVT could well cause problems for the most vulnerable. They say they will raise £1bn more in tax and 85% of households will be better off. How can that be when the Greens intend to abolish the single person discount for Council Tax meaning that many more households will be worse off. Bear in mind that, yes, some single person households are young, affluent professionals, but many more are struggling single parents. They are talking about some properties attracting 5 times the level of Council Tax in Land Value Taxation. Presumably they mean in city centres. So what happens if you are a student in Marchmont, or you are not particularly well off? You’ll end up with a tax hike which will force you out of the city, leaving city centres as the preserve of the very rich. People renting will also be hit and they won’t be helped by the Greens who take an extreme free-market view of rents: “rents may well increase…but the rental market is a function of supply and demand, however, and rents cannot increase to a level where people cannot afford them”. That is bad news, once again, for less well-off people and students in city centres. I spent four years listening to the terrible problems people faced because of a lack of affordable housing. Current private sector rents are not affordable for less well off families. They can barely afford to pay them and have even a basic standard of living. Their plight will be very much worse unless Patrick Harvie can somehow conjure up, in Fife alone, another 12,000 affordable homes. "People on low and middle incomes will pay more under the Greens. "The Green Party have admitted their plans for Land Value Tax will hit students, single people and pensioners. "Their income tax increase will be paid by pensioners and the low paid."